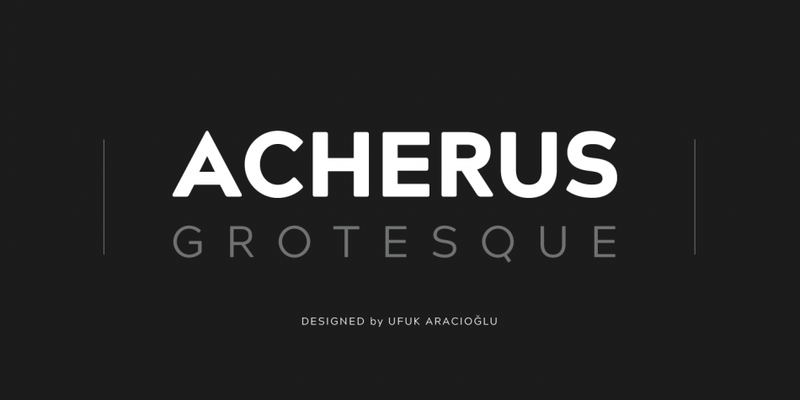 Acherus Grotesque is a sans serif typeface created by Ufuk Aracioglu. Available in 16 styles, 8 weights (from Thin to Black), accompanying italics, 6 sets of figures, small caps, ligatures and multilingual support, Libel Suit has a modern inspiration from the Swiss grotesque with added personality. You cannot miss it! 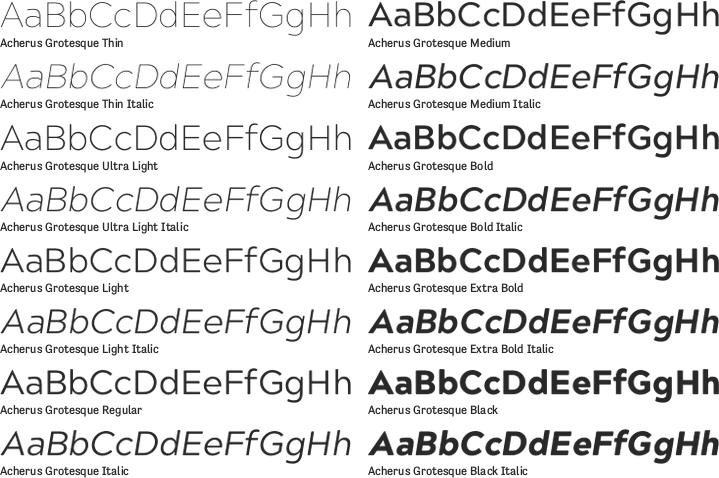 A font description published on Thursday, October 13th, 2016 in Fonts, Ufuk Aracioglu by Andrei that has 6,490 views.